In the Brazilian Conformity Assessment System (SBAC), the conformity assessment activity has different mechanisms to verify the conformity of a product, process or service relative to the criteria established by standards and technical regulations. The mechanisms practiced in conformity assessment programs coordinated by INMETRO are: certification, declaration of vendor conformity and inspection. For selection of the conformity assessment mechanism, it is necessary to take into consideration various aspects related to characteristics of the product, process or service being assessed, such as the risk posed by a possible consumer accident, the impact and frequency of failure, the production volume, the speed of technological improvements in the sector, the size of the manufacturers concerned, the geographic spread, the impact on product competitiveness, and the degree of difficulty of following up in the market, among others. There should be consideration of issues related to the special features of the domestic and international markets on the conformity assessment of the object. Aside from the technical aspects, others such as social, legal, political, economic and environmental aspects, among others, are also considered. The certification of products, processes, services, management and personnel systems is, by definition, performed by third parties, that is, by an independent organization accredited by INMETRO to perform the conformity assessment of one or more of these objects. When accrediting a certification organization, INMETRO recognizes it as being competent to assess an object on the basis of pre-established rules, in most cases by INMETRO itself. The certification model to be used is determined depending on the product, the production process, characteristics of the raw material, economic aspects and the necessary level of trust, among other factors. This conformity assessment mechanism is the process by which a supplier, under pre-established conditions, provides a written assurance that a product, process or service conforms to specified requirements, i.e., an originator conformity assessment model. A minimum content requirement is required in the declaration, according to ABNT NBR ISO/IEC 17050 Conformity Assessment – Declaration of Conformity – Part 1: General Requirements. This is the conformity assessment mechanism used to assess services after they were performed. In general, the measurement procedures involve the use of testing gauges that are applied to the instruments used for performing the service to be inspected. Inspection activities may include the testing of products, materials, installations, plants, processes, work procedures or services during all stages of the useful life of these items and are aimed at determining their conformity relative to the criteria established by regulations, standards or specifications and the subsequent reporting of results. Products and services accredited by INMETRO. 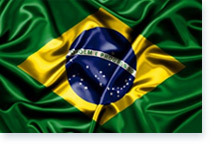 Each Brazilian government entity with authority and expertise to regulate has the autonomy to create its own technical regulations and is responsible for indicating how and by whom the process of conformity assessment will be performed, as well as the oversight of the final product in the consumer market. Therefore, the government entities with authority and expertise to regulate may also develop conformity assessment programs, as well as INMETRO.